Everyday Light: Self is an ongoing monthly self portrait series. You can see January here. Nothing like the last day of the month to squeeze in my February self portrait, right? Thanks extra Leap Day! Shooting this month's self portrait was exponentially easier. Editing, however, was much more difficult. Last month's self portrait post-processing basically included converting to black and white and sharpening. 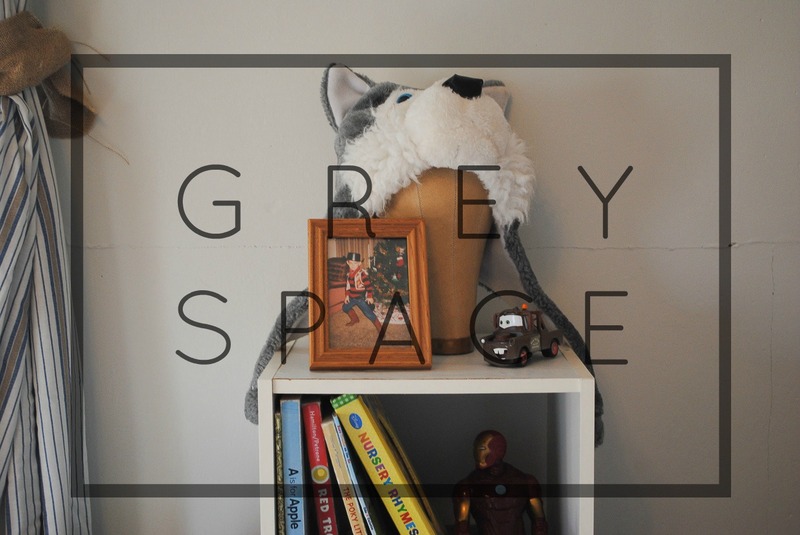 This month, I wanted to do something a little more challenging, and a little more outside my usual box. I had originally intended to do a double-exposure image, but changed my mind at the last minute and decided to try a collodion wet plate effect. I'm largely inspired by historic photos (you can see my Dust Bowl-Inspired series here) and wet plate photography is no exception. Collodion wet plate was a process used in the 1800s that included adding iodide to collodion and coating a glass plate to produce the images. It's very involved and incredibly beautiful when done correctly. There are a few photographers out there still using a wet plate method and making incredible images, but I decided to try to create the same effect digitally using Lightroom. I'm pretty pleased with the results! It was very tedious- it's a strange thing to go through an image and purposely add imperfections such as motion blur and over-exposed spots- and as a result, there are far fewer images this month, but definitely fun to step outside the usual portrait zone and into the past. I was lucky enough to get an advanced copy of Hope Unfolding by Becky Thompson (of Scissortail Silk), and let me tell you… if you are a wife and mother, you need this book in your life. Within the very first few pages, I knew this book was for me, and every page after that reaffirmed that notion. I took a deep, cleansing sigh of relief because- hallelujah- someone else knows my heart and shares my struggles! Becky’s writing is beautiful, but still realistic and relatable. 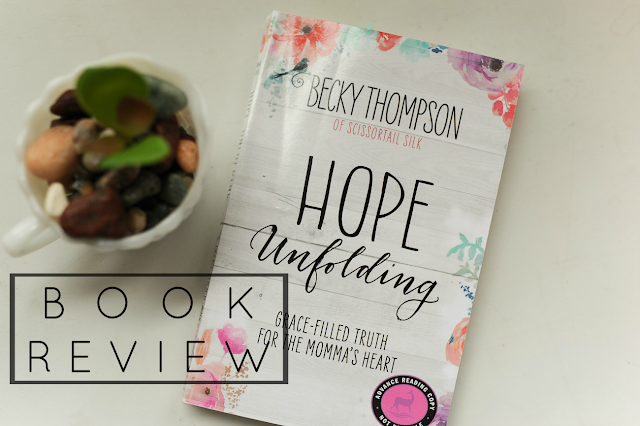 She makes you feel like a real friend and discusses motherhood, marriage and faith using all of the words that you feel but can never find to say, and every bit of it speaks right to your heart. A Midwestern girl, Becky uses her experiences as a wife and mother of three young children to give practical and honest advice with real-world applications. Ladies, this book isn’t written from the point of view of someone who has climbed out of the valley and is now shouting instruction from the mountain tops. No, Becky writes directly from the trenches of motherhood and her life as it were. And at the end of each chapter, she poses though-provoking questions with real-life anecdotes that are applicable to women in all stages of life. Guys, as soon as you get a chance, pick up a copy of this book. Your heart will thank you. You can pre-order here now! I consider myself an intelligent woman. I mean, consider these exhibits: I have a college degree. I use sources other than Facebook to determine my political stances. I have many talents and I know all the lyrics to many a Jay Z song. I also have many leather-bound books and my apartment smells of rich mahogany (anyone?) But I'm terrible at math. Let's just go ahead and put that out there. I've hated it ever since third grade when I failed my times tables test and my teacher gave every student in the class an ice cream sundae except myself and another boy. I remember feeling completely ashamed as I watched the other students devour scoops of tri-colored ice cream with sprinkles out of Styrofoam bowls. It wasn't that I wanted the ice cream. I don't even particularly like ice cream. It was the fact that I had to sit and watch the rest of the class eat their frosty treats while I sat with nothing- an empty desk as a reminder to everyone of my apparently empty brain. "next time you'll try harder," I remember my teacher saying through pursed lips and raised eyebrows. On that day, within me was planted a very dangerous lie... one that said I just wasn't good enough. And I believed it. I stumbled my way through various math classes in junior high and high school and breathed a sigh of relief when I went to college. I was a Music Theater Major. Surely no one would expect me to do math, right? Wrong. See, my college prescribed to the same wackadoodle idea that the rest of my math teachers had always preached, which was that you had to know basic math to do life. There was no escaping it. So I did what any self-respecting theater major would do: I put it off until my senior year. He then gave us his short personal introduction and bio in which he explained that he had been a Captain in the Air Force and would tolerate no nonsense or slacking. There would be no hat-wearing and no gum-chewing. There would also be no note-taking. Again. Not joking. He literally forbid his students to take notes during class. So once again, I did what any self-respecting theater major would do: I sat at the front of the class and completely defied that ridiculous direction and took some damn notes because I needed to graduate. This drew an unfortunate amount of unwanted attention my way because I openly (but politely) refused to stop taking notes. In fact, during the second week of class, he called me up to the board to solve a large math problem, the principles of which we hadn't yet learned. The first time he did this, I remained calm and light-hearted. I even got a portion of the problem correct and made the class laugh by drawing a stick figure with a party hat as the answer (I tend to diffuse tension with awkwardness and humor). I understood that I was being made an example of but I wasn't about to be a victim. But when he called me up to the board at the beginning of our next class, it was personal. He fired questions at me as though I were a target. When I didn't know an answer incorrect, he'd yell, "NO," and fire another. He then proceeded to berate me as I stood at the front of the class and repeated, "I don't know," to the remainder of his questions. "You don't KNOW?" he asked incredulously. "But you take such good notes!" Then he asked me to pick up the marker and solve the problem on the board behind me. I couldn't. I literally didn't know how to do the problem because again, we hadn't learned it yet. My hands were shaking and I could feel my face turning red. Hot tears threatened to spill out over my eyes. "What's the matter? Your notes can't help with that one?...... Why don't you check your notes?... Did you lose them?" he asked. And then he stared at me, waiting for me to answer. We stood in silence for what felt like an eternity before I realized my cheeks were wet with tears. "May I be excused?" I finally whispered, and he dismissed me with a wave of his hand. I grabbed my things and as I exited the class, I heard him explain once again that taking notes was useless and thus forbidden in his class. I skipped the next class, and guys, believe me when I say that everything within me wanted to flee forever. I never intended to see that classroom ever again. The voice echoed loudly in my head, "Just give up. You're still not good enough..." But deep in my heart, God was whispering truth... "That's a lie.." He said. "Go back..."
Have you ever been there? Have you ever been in a situation where your flesh tells you to run, but your heart says, "Wait... just wait... it's going to be fine if you'll just be still..." All the flags are red, the sirens are going off, the hatch is closing, and something is flat out rooting you on the spot? That's exactly how I felt that semester. And it was terrifying. When I told my best friend what had happened, she agreed that The Captain was way out of line and encouraged me to drop the class. And so when I told my friend, who wasn't particularly religious, that I had prayed about it and I felt like God had told me to stay in the class, she thought I was crazy. I thought I was crazy too. But I knew there had to be some reason I was being told to stay. To fight instead of flee. So when I came to class the following week, I brought along my notes. And I sat in the front of the class. But there was no Captain to glare at me. And there was no math problem written on the board to taunt me. There weren't even any students. Instead, into the class walked a thin, pale man. He was reading through some notes as he grabbed a marker and wrote in big red letters, "CLASS CANCELLED." He looked up and greeted me with a smile and said, "Hi! Are you here for College Algebra? Class has been cancelled for today, but we'll be meeting again Tuesday. I'm Doctor Dan. I'll be your new professor." I shook his hand in disbelief before walking out of the classroom, completely stunned. It turns out, The Captain had been removed from teaching any basic level math courses due to classroom misconduct (as a side note, I do not think this was in any way related to the incident in which I was involved in his class). And lo, from the heavens was sent Doctor Dan. The Good Doctor would spend extra time on any subjects the class didn't understand. We met for extra study sessions. He told us to help each other out if we were stuck. And we were encouraged to use our notes for the final. Notes! Listen guys, I don't want to sit here and make it seem like the Lord delivered me from the fires of The Captain and his Algebraic wrath- although, it sure felt like it. What I want you to understand is that there are small lies planted inside of us all the time. 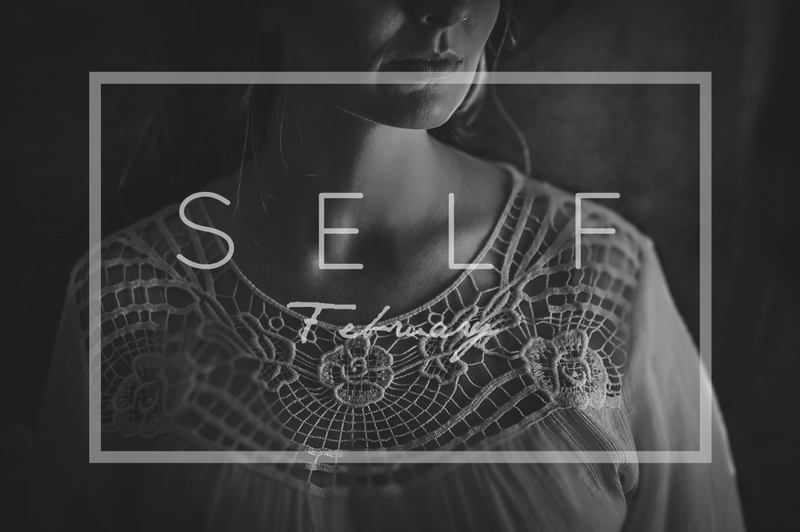 Lies that say we're not enough- not smart enough, thin enough, fast enough, good enough, spiritual enough, and on and on; Maybe your lies were planted at a young age when someone told you that you just weren't pretty enough, or a family member abandoned you. Maybe they were planted later in life, after you became a wife or mother and things just didn't look the way you had pictured them. But when we believe those lies that are shouted into our brains, they begin to take root in our hearts and choke out the still, steady voice of the Lord that says, "You are enough, because *I* am enough..."
Guys, you were created in the image of a perfect God. A God who is not surprised by your utter human-ness. 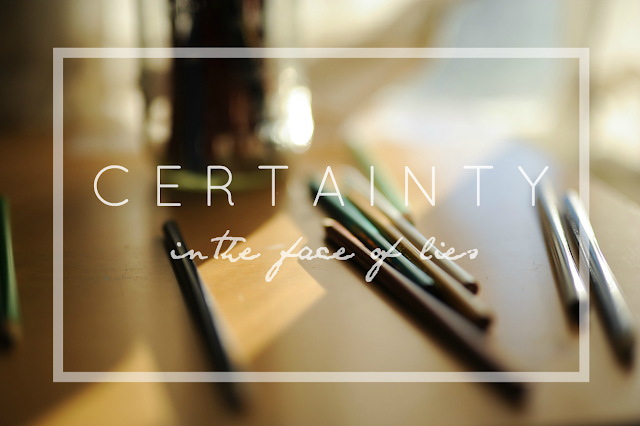 A God who meets you where you are, in the midst of whatever chaos or fear you're experiencing, and says, "I got this." 2 Corinthians 12:9 "But he said to me, “My grace is sufficient for you, for my power is made perfect in weakness.” Therefore I will boast all the more gladly of my weaknesses, so that the power of Christ may rest upon me." I got an A in College Algebra. The first A in math I've ever gotten. Ever. And all because I finally listened to the small, quiet voice of a perfect God. And for the record, I've never used the quadratic formula in real life. So there. We moved out of our first home when Grey was only a few months old. And now, a big move and two houses later, we're finally settling in. It was way past time for him to have a space that felt like him- big and rowdy and loud and fun. It's not perfect, and not nearly finished, but he loves it, and it's been so fun to take on a boy room for once! Here's Grey's big boy room. 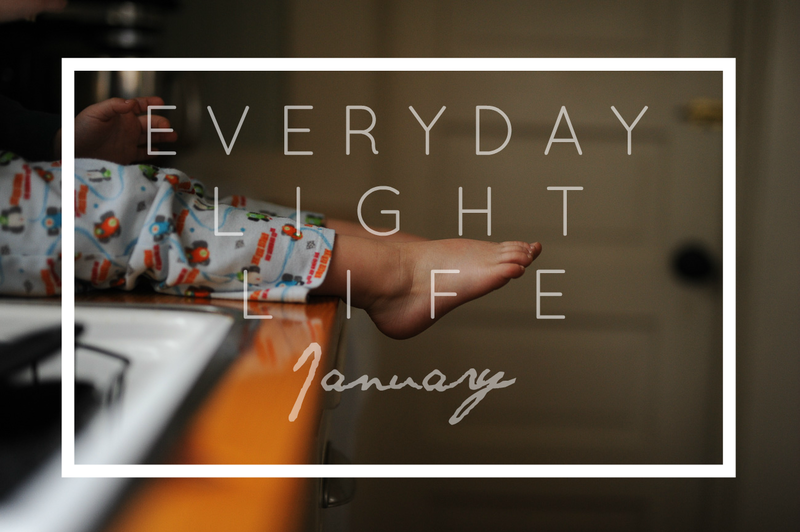 My goal in doing the Everyday Light Life series is to give you a peek into a regular day in this season of our lives. In January, I started to do this two separate times and was really hoping I could show you a day in our homeschooling, but real talk: January is a hard month. In fact, I'm rather glad to see it go and welcome February! This month, I'm determined to document a school day, along with lots of other goals to be met, and fun things to be done! Nevertheless, January was, and here are the handful of images I managed to snap in my double attempt. Enjoy!